Westbourne’s Very Victorian Christmas will be continuing throughout December with Victorian-themed festive fun, including captivating street theatre performers on hand to entertain visitors. A spectacular opening marked the start of Christmas celebrations in Westbourne. 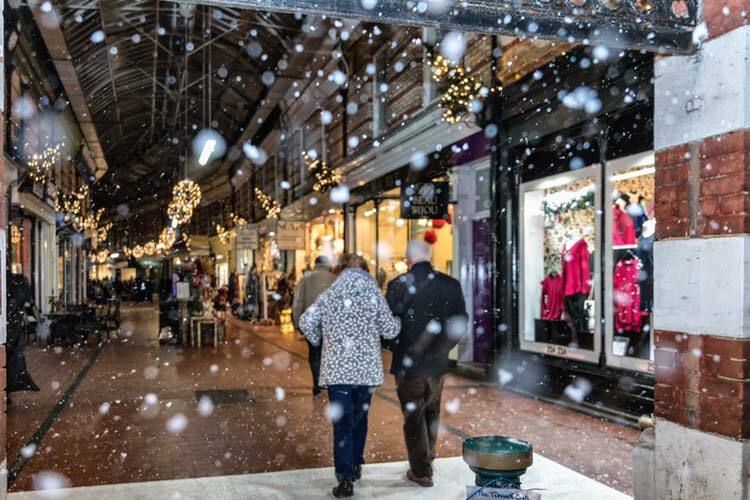 Beginning with the annual Choirs by Candlelight event on the 30th November, and the arrival of Santa in Westbourne Arcade, the Victorian-themed festive fun will now continue throughout December. This includes a whole cast of Victorian characters who will be greeting visitors to Westbourne this Christmas. From December 7th, a Very Victorian Christmas in Westbourne will be conjuring up an atmosphere familiar from Charles Dickens’ celebrated novella A Christmas Carol – when Christmas was the most wonderful time of the year, filled with carol singing, gift wrapping, decorations, magic, and story-telling. Westbourne’s Very Victorian Christmas will reach its finale on the weekend before Christmas with two more days of festive fun on Friday 21st, between 2pm – 6pm, and on Saturday 22nd December, between 9am and 4pm. Set to wow Westbourne visitors, there will be Victorian Stilt Walkers on both days plus the incredible magician Man of Magic, the Salvation Army Brass Band, along with the Cantamus Choir and more on the Saturday.